If you still have not gotten over losing your office space, brace yourself for the next trend in office design: companies are removing your desk too. Employers are starting to have unassigned seating in the workplace. This means that an employee no longer has a designated desk to work at, but instead will have to use one on a first come, first serve basis. Employers are providing some private spaces in the workspace, such as huddle rooms and touchdown spaces. Currently about 25 percent of employers have moved to unassigned seating for at least some of their employees, with 52 percent planning to move in this direction in the next three years, according to a survey of 138 employers done by real estate services firms CBRE and CoreNet Global. Making the change to unassigned seating has been a struggle for some employees, while others embrace the flexibility it brings. The Wall Street Journal reports that Minneapolis offices of Perkins + Will, an architectural firm, has moved to unassigned seating in the last two years. The office provided 52 sit-stand desks for the 70 employees, along with some other seating in more private spaces, like the conference room, huddle rooms, workbenches and a café. The workplace director Lisa Pool says that this enables teams to work more easily together on projects in the variety of spaces provided. Each employee is given a personal locker for their use each day. If a person uses a desk, he or she must not be away from it for more than two hours. If they are planning to be away longer they must clear the space for another employee. Employees have adjusted to juggling space and moving from one team project to the next by using digital files, such as OneNote, a note-taking and file-sharing app. They have also had to learn some give-and-take and have gone through etiquette training. Employers are embracing this new trend in office space design to reap savings on real estate, by reducing the square footage needed per employee. 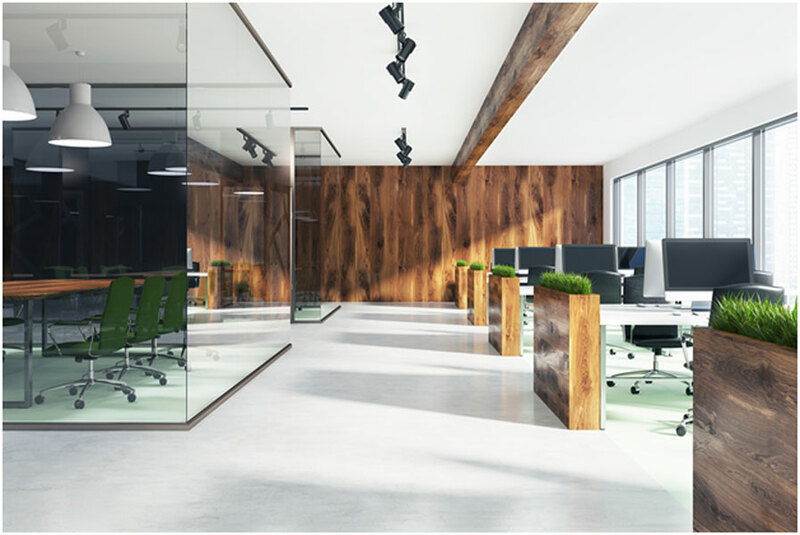 CBRE estimates that currently 20 to 40 percent of traditional desks are unoccupied in the average workplace. New designs are cropping up in the workplace by adding a variety of seating options and décor, according to Kate Lister, research chair of International Facility Management Association. Employers are taking their cue from the co-working spaces that are popular among millennials. The new designs “give people all these places and spaces to work—some quiet, some for group working or socializing,” she said. Carolina Recruitment believes in being more than just a staffing agency. Our team of experienced job recruiters knows what it takes to find you a great career opportunity based on our unique skills. Contact us today at https://www.carolinarecruitment.com to see now we can help you build a better future and career.